Douglas Leedy’s 88 is great (1969) for piano 18 hands. 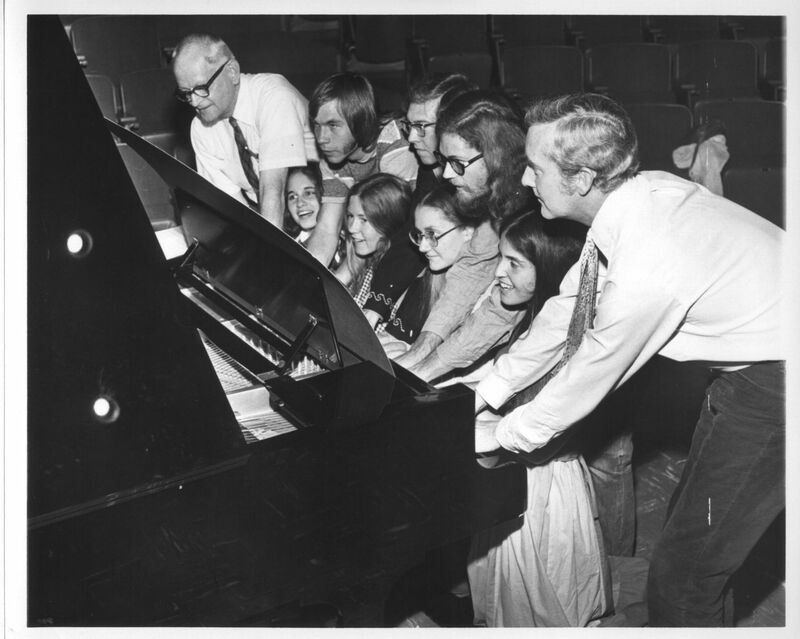 The photo above (click to enlarge) is from a performance at Pomona College in Claremont, CA in 1974, under the direction of William F. Russell (far left), long-time chairman of the Pomona Music Department. 88 is great is a study in the efficient use of musical resources that here, in the case of the piano, are too often left idle. With a player-friendly tablature-style notation, this cheerful, one-minute-long score certainly represents the practical limit in multi-handed pianism. The instructions and set of nine parts (which are to be assembled into a single, poster-sized score for performance) are available from Material Press.